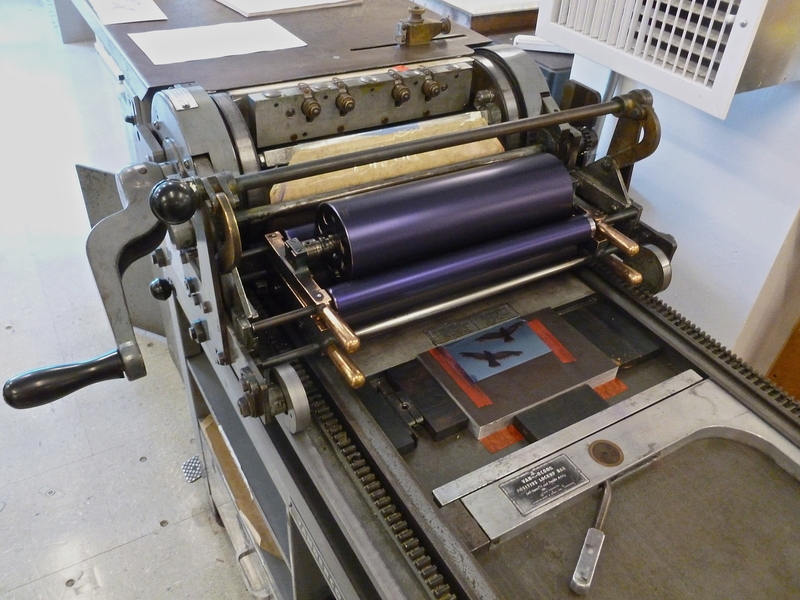 The pictures above show the process – first I letterpress printed the seagulls on a Vandercook machine. 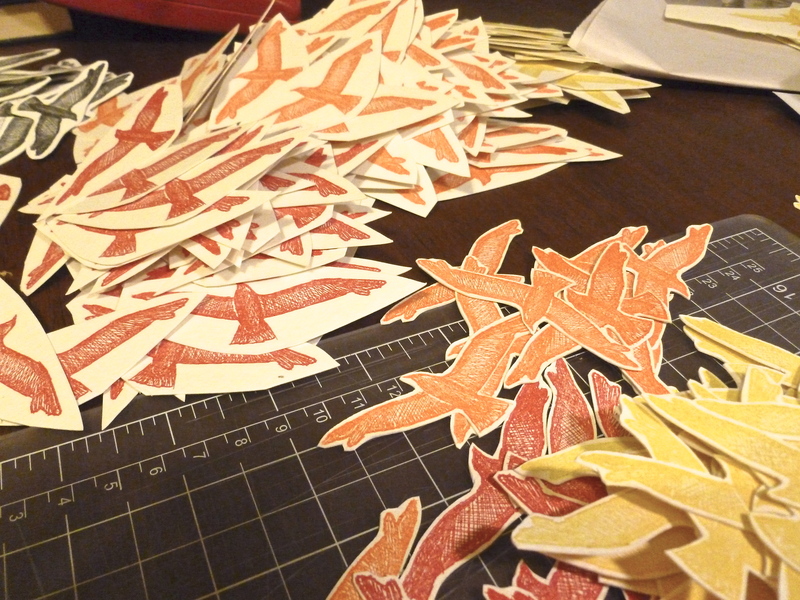 The next step was cutting out the prints to get an idea on how many I needed. 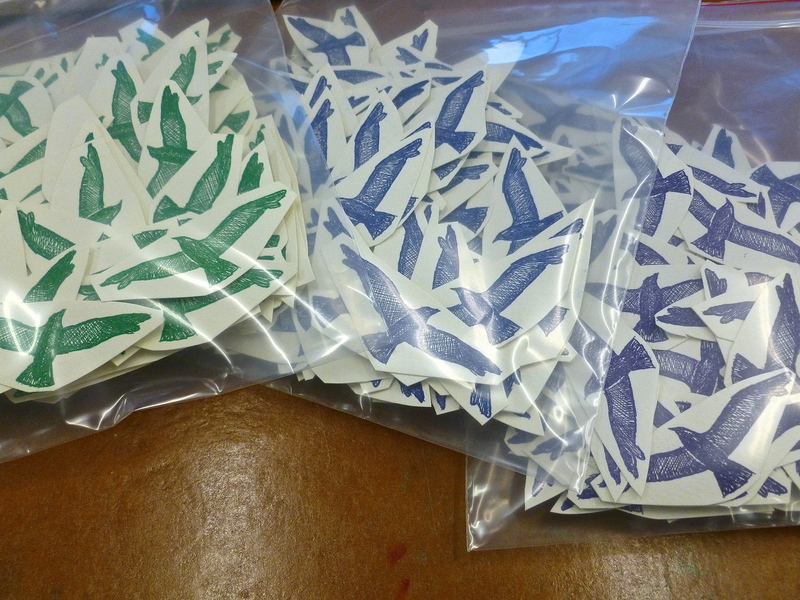 I printed the birds in rainbow colors! How fun!! 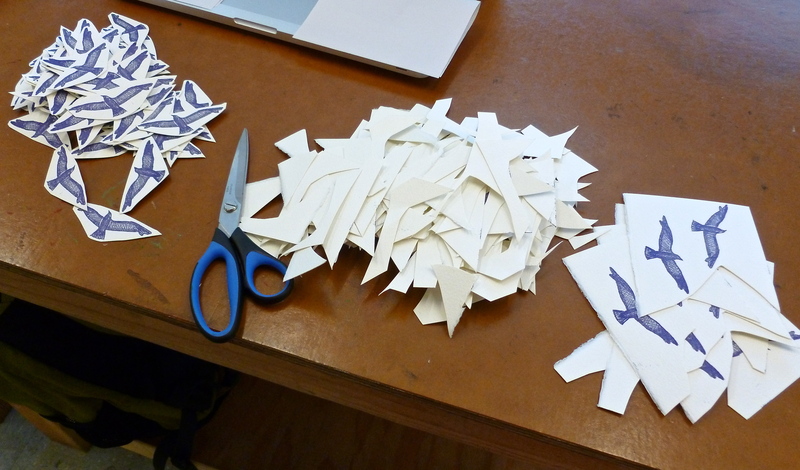 At home the trimming started: every little seagull was cut out with an X-acto knife. 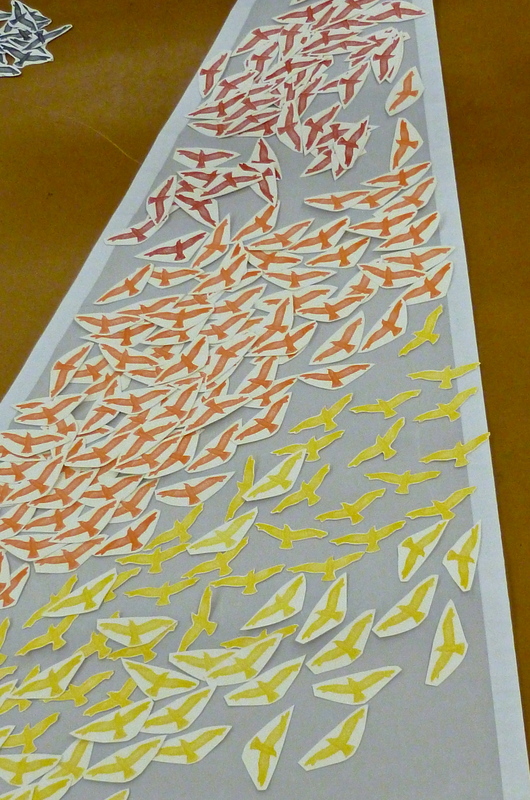 On the last picture you can see the seagulls placed on the sail – some of the yellow ones are already trimmed. This sail will be part of an exhibition at the Goethe Institut, San Francisco ‘Close to the Wind’, opening August 15th, 2013. The show is a cultural contribution to the America’s Cup.